Pioneering the development of new technologies. Angelbird Technologies GmbH is a hi-tech company based in Vorarlberg, which although the smallest province of Austria, has an international reputation as a region of pioneering and innovation. The company’s headquarters is in the town of Lustenau surrounded by mountains and close to the border of Switzerland and Germany. 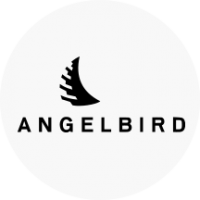 The team behind Angelbird is young, experienced and passionate, with a love for quality and attention to detail. Angelbird products are developed with the environment in mind.